An 18-year-old Muslim bride named Rajabbi Khurshed killed herself after her husband refused to accept the results of multiple virginity tests and demanded a second wife. The husband, 24-year-old Zafar Pirov, is now in custody in Tajikistan for his role in his young wife’s suicide. He could face up to eight years in prison. Khurshed was married for just 40 days when she decided to take her life. From the beginning, the young girl was a victim of patriarchal mandates. Forced into an arranged marriage with a man she had never met before, Khurshed was victimized by nearly everyone and everything in her life, including her parents, her husband, and the state. Her parents arranged the 18-year-old woman’s marriage, in her native village of Chorbogh in May, to a man she’d never met. 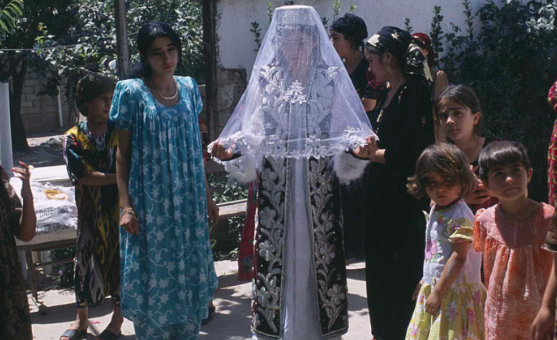 The Tajik state obliged Khurshed to undergo a prenuptial medical exam, which in her case included a virginity test that while technically optional is routinely demanded of young women by either or both families. And her new husband, 24-year-old Zafar Pirov, cast her out weeks later after humiliating her with further virginity tests and demanding that he be allowed to take a second wife.